Lisa and Luis' wedding celebration took place at the gorgeous Beach Palace Resort, against a stunning ocean backdrop. Even through rainstorms, their wedding day was so beautiful and filled with love. After 8 months of planning and designing with Lisa's impeccable taste and attention to detail, everything was out of this world! 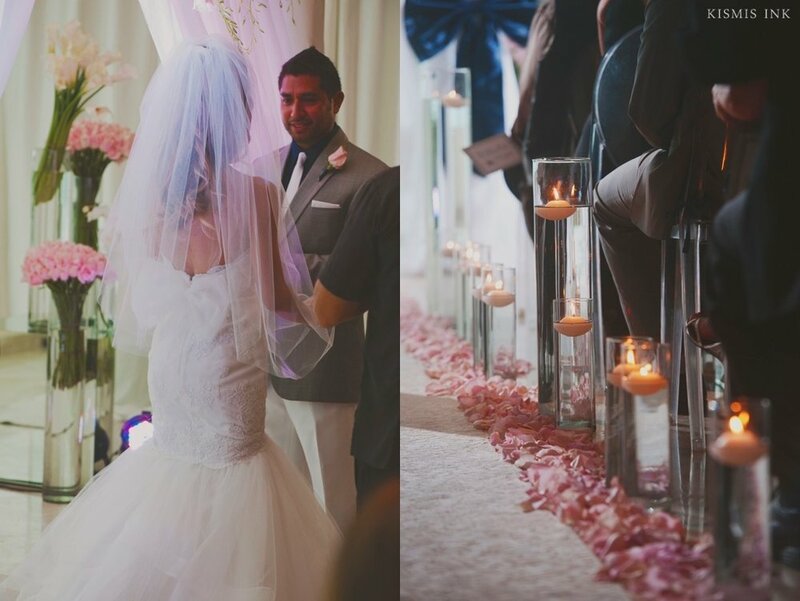 The elegant pale-pink and azure reception was breathtaking. From the soft lighting and the dazzling chandelier above their sweetheart table, custom-made with hundreds of crystals beads, to the adorable florals surrounding them (peonies, roses, ranunculus and anemonas for her bridal bouquet were imported directly from Holland to Cancun), everything was stunning! Thank you for letting Laura and me be part of your wedding celebration, we can't wait to see you both again soon!